The music video for "Guilty all the Same" was created in Project Spark, and can be downloaded and altered by users. The Xbox One version of Project Spark opens up new and fun creation options. We recently had a chance to see the game’s World Wizard creation mode, and came away impressed with the wide array of customization available. 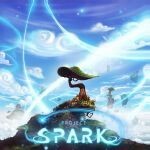 Missed the Project Spark live stream? No worries, we've got you covered here with a complete roundup of the demonstration.